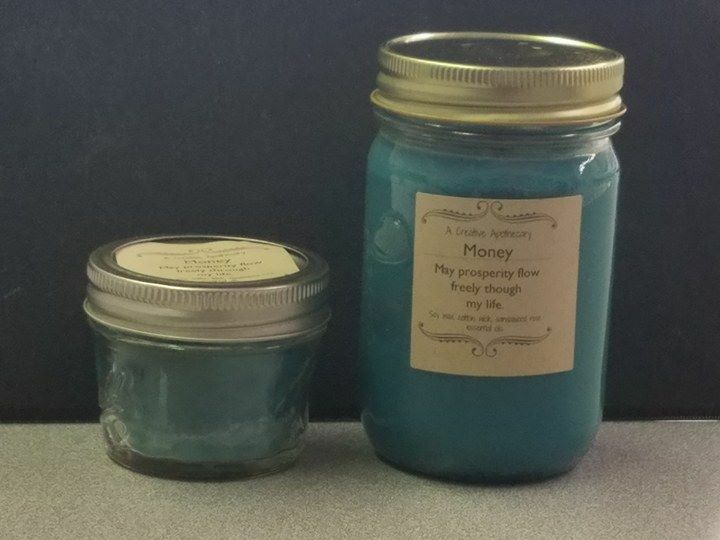 Light Teal, this candle is Money. Sandalwood Rose will help prosperity flow freely. Available in 4 ounce and 8 ounce sizes with a lid.